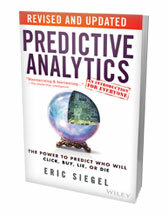 Eric Siegel, Ph.D., founder of the Predictive Analytics World (13k attendees since 2009) and Deep Learning World conference series, and executive editor of The Predictive Analytics Times, makes the how and why of predictive analytics (aka machine learning) understandable and captivating. He is the author of the award-winning Predictive Analytics: The Power to Predict Who Will Click, Buy, Lie, or Die, a former Columbia University professor who used to sing to his students, and a renowned speaker and educator who's been commissioned for more than 80 keynote addresses by these industries: ad tech, construction, e-commerce, environmentalism, financial services, government, healthcare, human resources, insurance, law, manufacturing, market research, marketing, news media, pharmaceuticals, restaurants, real estate, and travel. 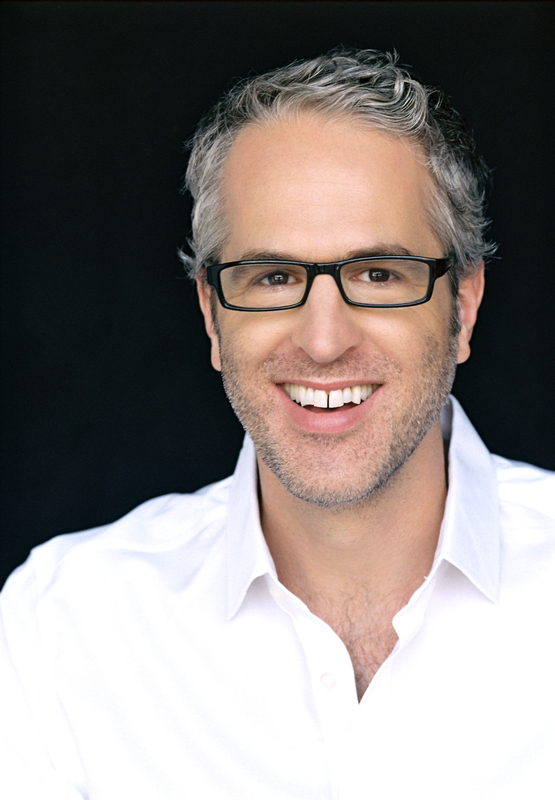 Eric has appeared on Bloomberg TV and Radio, Business News Network (Canada), Fox News, Israel National Radio, National Geographic Breakthrough, NPR Marketplace, Radio National (Australia), and TheStreet. He and his book have been featured in Big Think, Businessweek, CBS MoneyWatch, Contagious Magazine, The European Business Review, The Financial Times, Forbes, Forrester, Fortune, GQ, Harvard Business Review, The Huffington Post, The New York Review of Books, The New York Times, Newsweek, Quartz, Salon, The San Francisco Chronicle, Scientific American, The Seattle Post-Intelligencer, The Wall Street Journal, The Washington Post, and WSJ MarketWatch. Follow him at @predictanalytic. 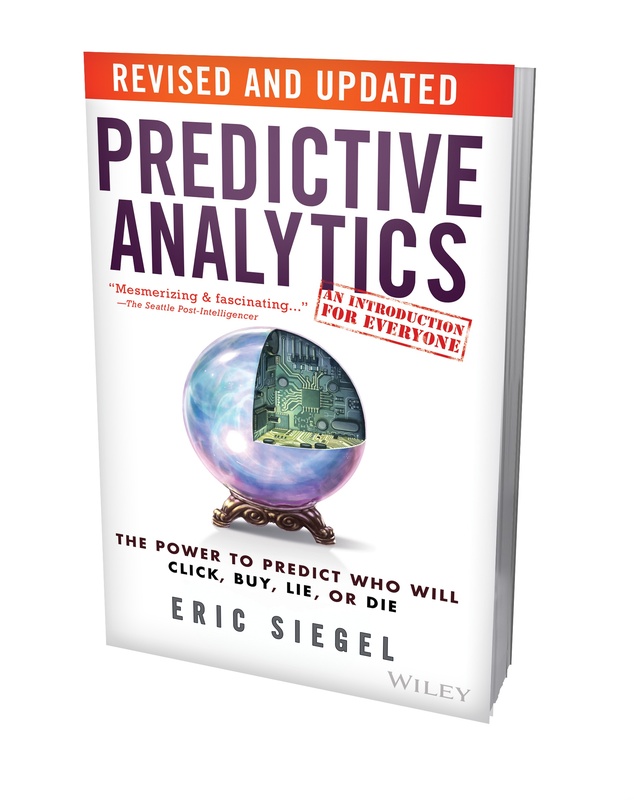 Predictive Analytics: The Power to Predict Who Will Click, Buy, Lie, or Die – In this rich, fascinating–surprisingly accessible–introduction, leading expert Eric Siegel reveals how predictive analytics works, and how it affects everyone every day. Trendsetters like Chase, Facebook, Google, HP, IBM, Match.com, Netflix, the NSA, Pfizer, Target, and Uber are seizing upon the power of big data to predict human behavior–including yours. Why? 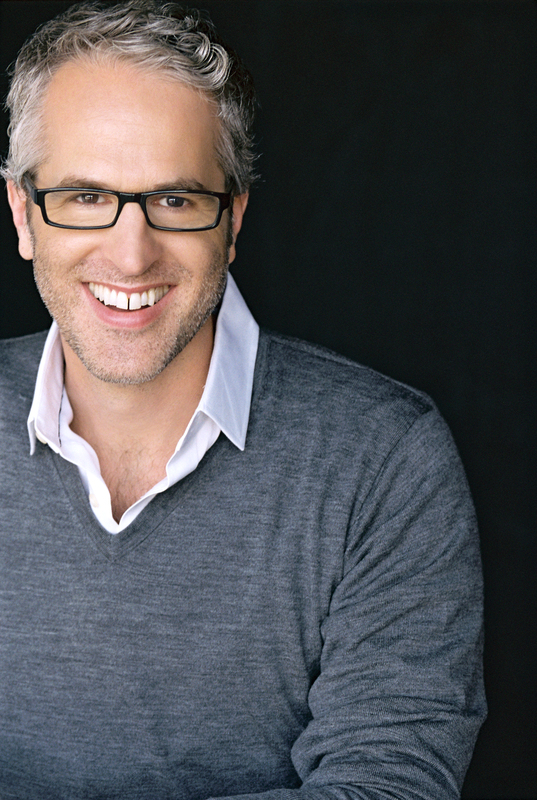 Predictive analytics reinvents industries and runs the world. Read on to discover how it combats risk, boosts sales, fortifies healthcare, optimizes social networks, toughens crime fighting, and wins elections.